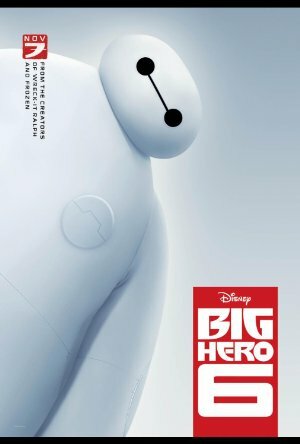 From Walt Disney Animation Studios, the team behind "Frozen" and "Wreck-It Ralph," comes "Big Hero 6," an action-packed comedy-adventure about the special bond that develops between Baymax, a plus-sized inflatable robot, and prodigy Hiro Hamada. When a devastating event befalls the city of San Fransokyo and catapults Hiro into the midst of danger, he turns to Baymax and his close friends adrenaline junkie Go Go Tomago, neatnik Wasabi, chemistry whiz Honey Lemon and fanboy Fred. Determined to uncover the mystery, Hiro transforms his friends into a band of high-tech heroes called "Big Hero 6."